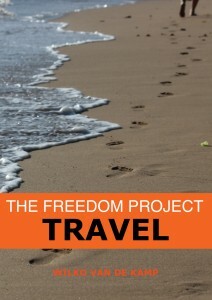 My first book is about travel hacking, and amongst other things it explains how you can travel for free. I’ve seen people post quotes and images on social media stating, “If travel were free you’d never see me again”. Well, I replied, it is, and if I can do it anyone can. Most of them are still where they were when they posted their wishful status. “If travel were free you’d never see me again”. We’re our own worst enemy, often deciding against ourselves. What we do for others is often more than we do for ourselves. While that sounds noble, in the end you might find you cut yourself short and therefore others too. Travel is a great example. Being a travel photographer I exhibit my work that I have for sale at various art shows and events. While pondering over the pictures, people often say, “I’ve always wanted to go there”. My pictures from Paris, New York and Buenos Aires seem to be quite popular and invoke that reaction without exception, in people of all ages. It makes me a little sad sometimes. I know it’s not as simple as responding with “so why don’t you go”, or “why haven’t you gone yet”. There are all sorts of reasons as to why it’s not that easy: responsibilities at home, a demanding career, or financial reasons. After all, travel isn’t cheap – at least that’s what we like to tell ourselves. But regardless of all those excuses and limiting circumstances, there’s (at least) that one place in the back of your mind that you’ve always wanted to see, but never did. The one you’re thinking about right now. Am I right? I hope to encourage you to make what might seem to be a difficult decision, and just go for it. Not to ignore, but to overcome, and find solutions for all those reasons that might have discouraged you from packing your bags, to go explore, dream, and live your life. It’s the main reason I wrote my travel book: to motivate you to book that trip you’ve been thinking about for some time now.